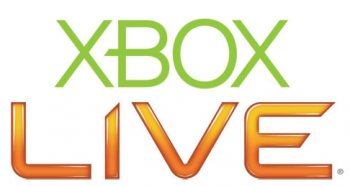 Microsoft is being sued by a man who says the company's Xbox Live billing policies forced him to pay for a two-year subscription without his consent. Shortly after that, Graves took advantage of a Microsoft promotion for one month of free Gold service and after that had ended, on or about March 4, 2011, he purchased a new annual subscription for $64.19, using a new debit card. But a few days after that, he discovered that Microsoft had actually charged him twice on that day: once for his new subscription and once to renew the January 2010 subscription he had let lapse. It sounds like a fairly simple mistake to correct but after some horsing around with Microsoft's customer service, the word came down that it was not a mistake at all and that he would not be given a refund for the second charge. The company's position is that Graves agreed to automatic subscription renewals with his January 2010 purchase, which Graves denies and his lawyer says is irrelevant anyway, since Graves only gave Microsoft consent to charge the expired debit card, not the new one. Now Graves has two years of Xbox Live Gold which he says he doesn't want, claiming that he never would have purchased the new subscription if he'd known Microsoft was going to automatically renew the old one. Since Microsoft considers the matter closed, he's filed a lawsuit which he's seeking to have declared a class action, calling for "an award of appropriate equitable relief," actual, statutory, treble and punitive damages, penalties and interest, legal fees and whatever else the court deems just, plus declarations that Microsoft violated various applicable laws and the rights of the plaintiff. A full copy of Graves' lawsuit against Microsoft is available in PDF format from courthousenews.com. And now, for those looking to avoid similar situations, here's a helpful note from Major Nelson!